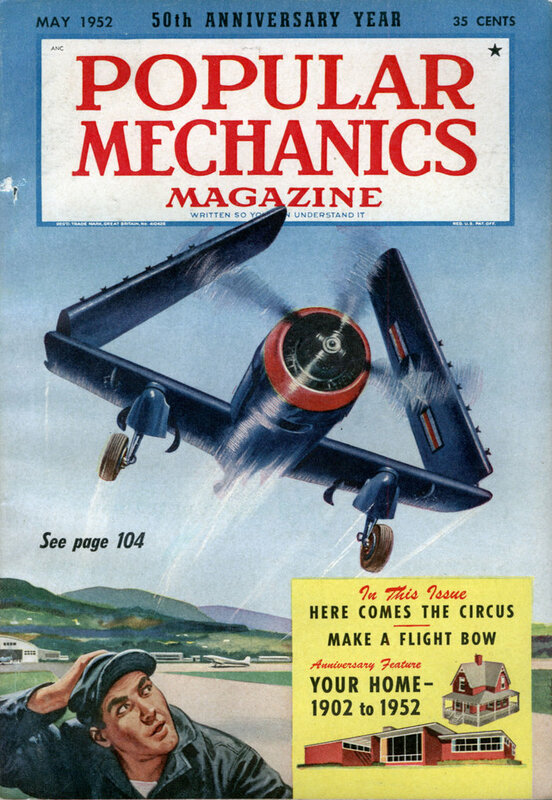 Fractures of Hans’ “almost human” bones are expected to save Air Force pilots from similar injuries. 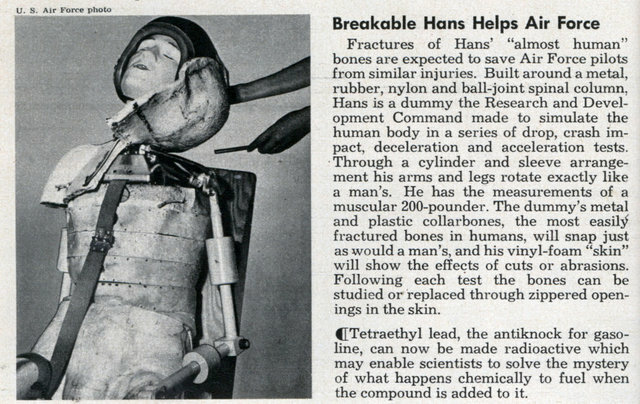 Built around a metal, rubber, nylon and ball-joint spinal column, Hans is a dummy the Research and Development Command made to simulate the human body in a series of drop, crash impact, deceleration and acceleration tests. Through a cylinder and sleeve arrangement his arms and legs rotate exactly like a man’s. He has the measurements of a muscular 200-pounder. The dummy’s metal and plastic collarbones, the most easily fractured bones in humans, will snap just as would a man’s, and his vinyl-foam “skin” will show the effects of cuts or abrasions. Following each test the bones can be studied or replaced through zippered openings in the skin.